The Creon Greek half mask for the tragedy Burial at Thebes has the expressive qualities of a selfish, erratic and foolish king. 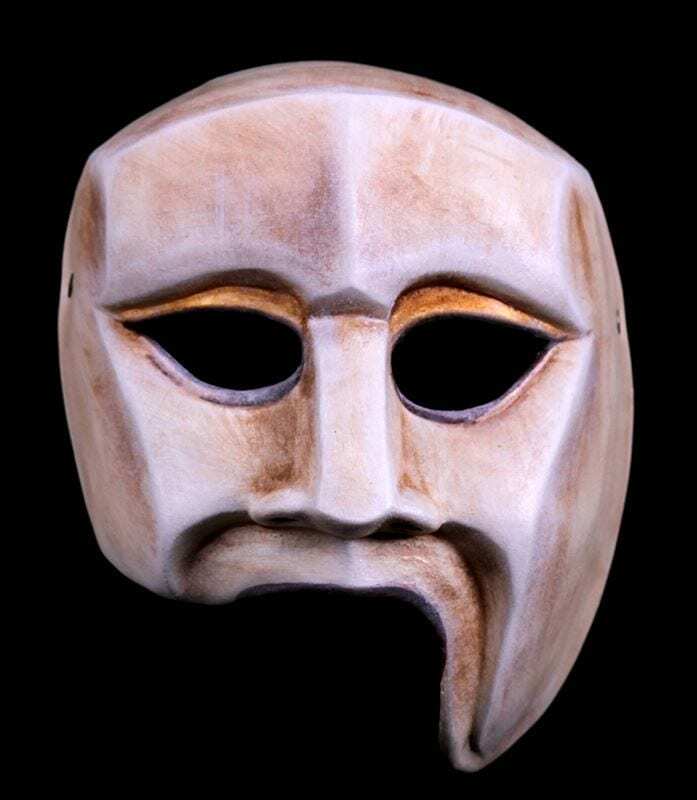 This mask starts as King of Thebes and ends heartbroken and physically distraught. This half mask was created in 2006 for the Handcart Ensemble. It is an excellent addition to any Greek Drama.